Can you imagine what driving conditions would be like if the traffic rules weren't enforced? If you have received a ticket in Florida, here are some tips regarding your options. By understanding the process, you can save time and money! Start Online Traffic School Now and Have Your Certificate in Hours! 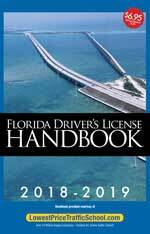 What are your options if you receive a ticket in Florida? The state will assess points against your driving record - accumulating enough points within a certain time period will lead to suspension of your license. You may still face fines, points, and increased insurance rates. Regardless of the outcome, you will still have to pay the lawyer. Pay the fine and attend a traffic school. What are the benefits of choosing this option? By completing traffic school, adjudication is withheld and no points will be assessed against your traffic record. With certain exceptions,** your insurance company is prohibited by state law from raising your insurance rates or canceling your policy. If you were designated as a "Safe Driver" on your license, your safe driver status will be maintained giving you a longer period between license renewals. 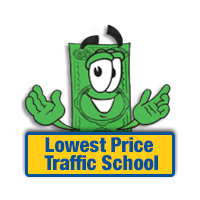 Traffic school costs far less than hiring a lawyer. You may now take the course online, at home, and on your own schedule. **Your rates may be increased if you were at fault in a traffic crash.